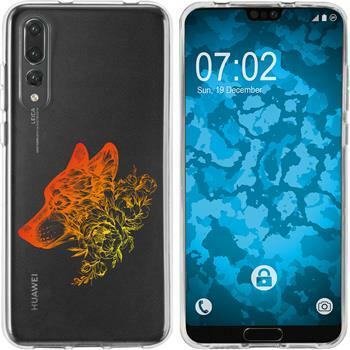 This durable case for Huawei P20 Pro protects your Smartphone long and reliably. 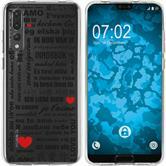 This durable silicone case for the Huawei P20 Pro protects your smartphone long and reliably. The Huawei P20 Pro cover is perfectly tailored to your smartphone. It covers your device accurately, but without rendering its connectors and operating controls (camera, charging cable, headphones, volume control, etc.) inaccessible. This assures optimal use of the smartphone. 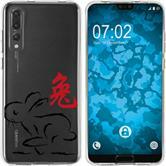 The Huawei P20 Pro case can be put on easily and intuitively. 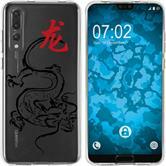 Conversely, the smartphone is uncased quickly without any effort..
By use of the Huawei P20 Pro silicone bumper, your smartphone is well protected from scratches, damages and other external influences. The protection is guaranteed by the TPU (Thermoplastic Polyurethane). This silicone-like, material is highly resistant to pressure and temperature variation, even under extreme conditions. Its elasticity provides efficient protection against shocks for the device.